When I was 12-years-old, I visited my aunt in the US. During this trip, I tagged along with my cousin, who is barely older than me, to participate in a very American pastime: we hit the mall. There, we bumped into his desi American friend and I was introduced as the cousin from Pakistan. He enunciated every word loudly, as if I were deaf. I was 12, and this made me bristle with anger. If I were really smart, I would have ignored his comment. Not knowing English isn’t a crime, but I knew what the boy was referring to – his own stereotype of Pakistanis as ‘fobs’, or fresh off the boat. I’m 18-years-old now, and I’m visiting the same aunt again. 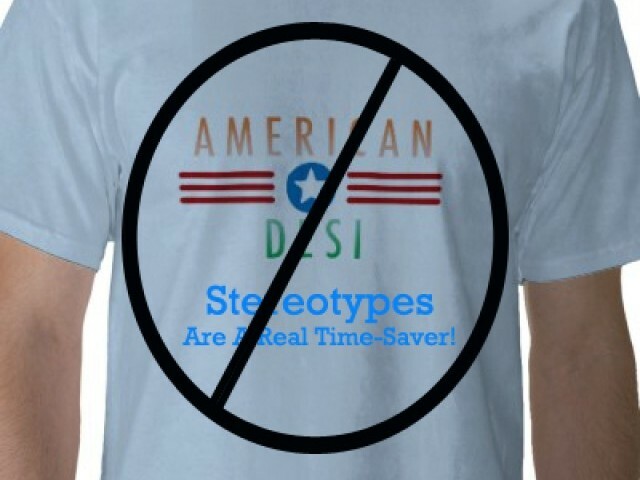 And I’m still trying to battle stereotypes present in the minds of both desi and non-desi people in the US. Maybe I’m not self-conscious about looking ‘stupid’, but I find it peculiar that I’m already predefined, no matter what I say or do. So yes, I do come from a country in the Global South. No, I do not live in a mud hut. Don’t ride a camel to school either, that would be the Middle East, and they don’t do that either. Yes, yes, I’ve seen an Xbox before. Yes, some women wear burqas. No, there’s no ban on jeans. Yes, women drive – it’s not Saudi Arabia. No, I’ve never met a terrorist, but, um, I’ll let you know if I do? One desi kid told me sweetly. And then there’s English. No one cares whether I speak in Urdu or not, it’s my ‘abc’ that’s got everyone impressed. “If you went to a Pakistani high school, how is your English so good?” asked an extremely polite salesman at RadioShack while selling me plug adaptors. I’m not the first to become a stereotype. But we’ve grown so touchy that we now have stereotypes about people with stereotypes about us. “So, your middle name is Mohammed and your last name is Ali? Tough luck getting that American visa,” someone told me flatly. “Don’t take any paindoo shalwar kameezes with you,” another suggested. People abroad seem amazed by you, but people back home seem resentful or self-conscious or both. I don’t know if I am living up to the stereotype of what a Pakistani is. However, I do know that there will be several Pakistanis willing to explain, in extremely negative detail, exactly what foreigners think we are. I know that I am less exasperated and more amused now, though I wonder where the good humour is coming from, and where the ‘jazbaati–pana’ that my 12-year-old self and other countrymen possess went. Maybe it evaporated in the past week because I have been acting as a mouthpiece for my country and answer every single question my cousin, who has never been to Pakistan in his life, asks me. “Wow, mom doesn’t talk about Pack-is-tan like that!” he exclaims. He still makes fun of my accent and the smatterings of Urdu that creep into my speech. I can’t help it – maybe I really am playing to the stereotype of a ‘Pack-is-tani’. And I guess that’s ok.
Read more by Meiryum here. A freshman at an ivy league school who writes a weekly national column in The Express Tribune called "Khayaban-e-Nowhere". So long, farewell: College really isn't that far off, right? London Olympics 2012: Why didn’t we smile? Saaen to saeen, let the Mohajir also be saeen! Stereotyping a nation or people is dangerous. Stereotypes give an incomplete picture.. When a group of people is typecast as something; an outsider cannot see them as anything else but that. — So that stereotype becomes their only identity and in the mind of an outsider there is no room for any other possibilities. By the way ma’am, if you meet a terrorist, WILL YOU REALLY let the authorities know about it ? And of course Pakistanis do not indulge in stereotyping the Americans. Each and every one of the 86% Pakistanis has decided to hate Americans after deep research and thoughtful reflection. Nice Article. I would like to add more on to it. To make the article more generalize, making humor out of some one visiting was always there. It is part of a human psychology to enforce one’s superiority to others. Think for a moment about Bengali visiting Pakistan, or dehati (villagers) visiting Karachi/Lahore. They do same to these visitors but never get noticed since we are on the other side of the gun. It is been decade since I moved to USA. And I firmly believe that an educated Pakistani understand English more than American in general, kind of a bold statement, isnt it? Next time when American desi make fun of you, you can hit back by correcting their grammar!